Bulgaria’s EU Council Presidency: The last great expansion? 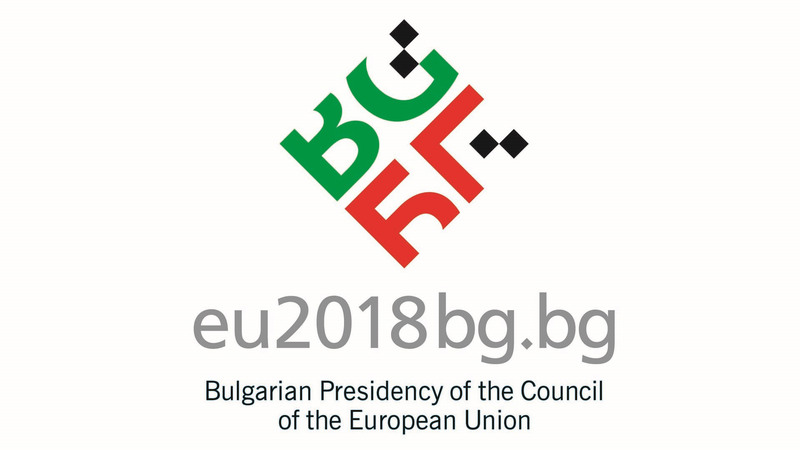 On the 1st January 2018, Bulgaria assumed control of the EU Council Presidency for the first time since joining the European bloc in 2007. For the Black Sea Republic, the role allows it a crucial six month period to dominate European policy and political discourse. The EU Presidency has also taken place during an incredibly important year for Europe, where Brexit talks will need to be concluded to allow sufficient time to pass through the various legislatures necessary to prepare for Britain’s departure, in addition to talks around how to replace Britain’s significant contribution to the EU budget with one eye already on the upcoming elections in 2019 for President of the European Commission. The former Communist state has set out four primary objectives for the Presidency; the future of Europe, improving relations/the integration of the Western Balkans into the EU, the digital Single Market, and security/stability, with a wide range goal but in particular on refugee policies. The six month stint will be carried out under the slogan ‘United we stand strong’, which follows on from Estonia’s ‘Unity through balance’. Much of this has been centred around the ongoing Brexit discussions. Prime Minister Boiko Borisov has previously advocated for a soft Brexit, and was the first leader of the EU27 states to break ranks and insist that a hard Brexit was not in anyone’s interest[i]. Unfortunately for Borisov, whilst some sections of the media saw his comments as a possible softening in the EU’s negotiating position, it has not thus far made an apparent difference in the talks. Britain remains on course for leaving the Single Market and Customs Union, with talks of a ‘No Deal’ scenario continuing to be mentioned by politicians[ii]. Rounding off the objective has included the preliminary discussions on how the EU’s budget will be spent from 2021-2027, with the European Commission proposing an increase in spending to €1.25 trillion, despite Britain’s impending withdrawal[iii]. With news emerging in the last few days that Britain has been invited to the discussion on how the proposed budget will be spent[iv], it once again highlights the growing tensions between member states on the future of Europe. Since the European Union began expanding into the former communist states of Central and Eastern Europe in 2004, talk has often been centred around when Western Balkan states will be admitted into the European Union. The deadly Yugoslav Wars during the 1990s made things particularly difficult, although some of the contender states have struggled due to corruption and authoritarian stances over the media amongst other issues. Yet, Bulgaria, which has historically enjoyed a mixed-yet-close relationship with the former Yugoslav states, has been keen to push the issue. This led the European Commission to declare that the earliest that the next round of expansion would take place is 2025[v], although this is seen as unlikely as the most likely state to be admitted, Serbia, continues to delay resolving issues with the contested state of Kosovo. In addition, Spain’s refusal to attend the recent summit in Sofia shows that the road to EU membership is far from assured[vi]. However, Bulgaria’s hard work on the issue has forced meetings and concession to take place, and make the goal of European Union membership for Western Balkan states seem just that little bit more realistic, aided by the recent Sofia Declaration on 17th May 2018[vii]. In recent years, the European Union has pushed for the creation of the digital Single Market, with the objective of placing Europe at the centre of digital development in the coming decades. Part of this objective for Bulgaria’s EU presidency came in July 2017, when Mariya Gabriel was nominated to be the EU Commissioner for Digital Economy and Society after her predecessor, Kristalina Georgieva, left the European Commission to become CEO of the World Bank. Gabriel seemed a natural choice for Borisov; a young, ambitious MEP since 2009 that was well liked and chosen twice as ‘MEP of the year’ in 2013 and 2016 respectively. Unfortunately, she has come in for much criticism over the last few months for being unable to push through necessary changes for the digital Single Market, and in particular, how the roll out of 5G across the continent in the next decade will be financed[viii]. Most of the criticism faced her way has been over the soft-handed approach she has applied, being unable to force things through like Georgieva in the past. However, some successes in the telecoms industry has meant that the objective has not been a complete bust for Bulgaria, and it will remain optimistic going forward that Gabriel will find her feet and bring in the necessary changes. Showing the growing rise of populism and authorism across Central and Eastern Europe, Bulgaria’s Government has become increasingly hard line on security issues. Part of this has been influenced by the makeup of Bulgaria’s coalition government, with the minority member, the United Patriots, comprised of a coalition of three right-wing, populist parties. However, some of the posturing from the Government predates the formation of the coalition in 2017, as seen in 2015 when Borisov ordered the construction of a wired fence along the border with Turkey, largely funded by the EU[ix]. Bulgaria’s tough stance on migration is believed to be partly motivated by its desire to join the Schengen Area, which has previously been vetoed by states such as the Netherlands due to concerns over illegal immigration and smuggling[x]. Therefore, Bulgaria placing security concerns as one of its objectives has been largerly motivated by self-interest, although does represent some genuine concerns across the Central and Eastern Europe membership of migrants. However, there has been no major breakthrough on this issue to date. Overall, Bulgaria’s EU Presidency has laid an ambitious but mostly achievable targets. It was always unlikely that there would be a major breakthrough in the Brexit talks at this stage, and instead, all eyes will roll-over to Austria in July when it becomes the next EU Council President. However, its work on the digital Single Market, aided in part by Estonia which placed a ‘Digital Europe’ as one of its themes in the proceeding Presidency[xi], and on the Western Balkans, shows that it is a state that is gradually beginning to find its voice in a post-Cold War Europe. It remains to be seen what the legacy will ultimately be of Bulgaria’s EU Council Presidency, but the Black Sea Republic will be desperately hoping that it will ultimately have delivered a lasting impact on EU policy that each Council Presidency promises, but so rarely delivers.